The website for Premier Water has evolved from a simple 12 page site to over 100 pages with 100’s of blog posts. Regular blog posts, social media, video, images, and better product detail were added to improve user-engagement. 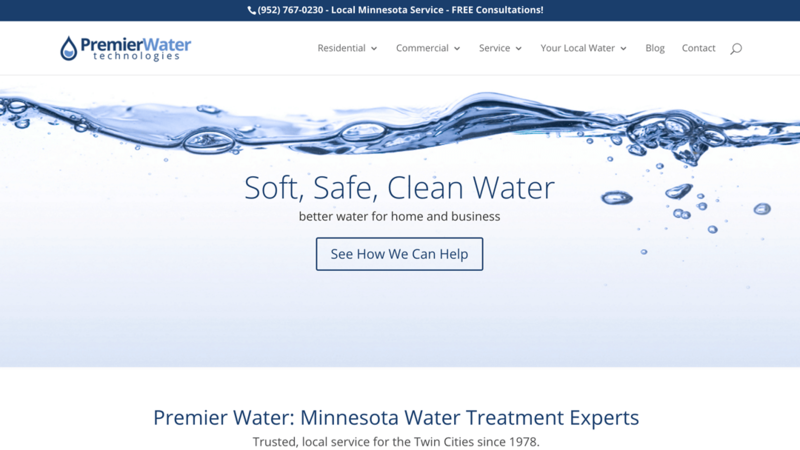 This responsive site was built with WordPress and is optimized for local customers in the greater Minneapolis, MN area.